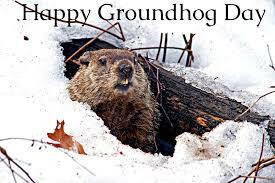 Life with Lynnie: Happy Groundhog Day! due to what the weather will be like. Matthew 16:3, "And in the morning, It will be foul weather to day: for the sky is red and lowering. O ye hypocrites, ye can discern the face of the sky; but can ye not discern the signs of the times? ".